In the Counties of Ireland-Down (named after its county town, Downpatrick) is one of six Irish counties that form Northern Ireland (uk) and it is situated in the north-east of the island of Ireland. Regarding things to do in Ireland, County Down has many Ireland tourist attractions if you are planning a trip to Ireland .See below for tips on places to visit if you are planning on any Ireland tours for some ideas on where to go . It is one of the thirty-two traditional counties of Ireland, lying within the province of Ulster and has a population of about 531,665. The county town, although not the largest, is Downpatrick. It is named after Dun Padraig (Irish), translated as Patrick's Stronghold, since it has many links to Saint Patrick. He is thought to be buried there in the grounds of Down Cathedral. The Old Inn in Crawfordsburn is one of the oldest in the country.It was used by smugglers until the end of the 18th century. Then it became popular with writers, and literary meetings have been held there ever since. General Eisenhower visited Bangor County Down and spoke to Allied troops before they left for World War II. He later became President of the USA. In 2005, the North Pier in Bangor was named the Eisenhower Pier in his honour. Pat Jennings the famous international goalkeeper was born in Newry on 12 June 1945. He started his career with Newry Town but soon moved to England where he played 13 years with Tottenham Hotspur and eight years with Arsenal. 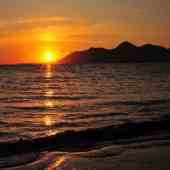 The Mourne Mountains in County Down have been named as an "area of outstanding natural beauty". Killyleagh Castle, in County Down, Northern Ireland, is the oldest occupied castle in Ireland.Built in the 13th century, it is still in use as a private home. 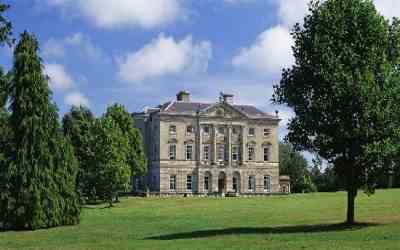 Mount Stewart House and Gardens are amongst the finest estates in Northern Ireland and can be found about five miles south of Newtownards near Strangford Lough. 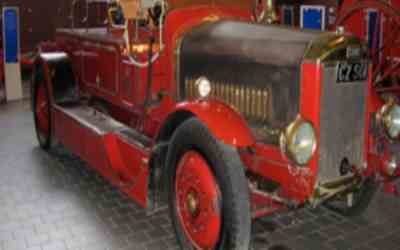 One of Ireland's best collections of historic trains, planes and automobiles is in County Down. The Ulster Folk & Transport Museum consists of two parts, co-located at the dame site near Belfast, yet divided by a motorway. 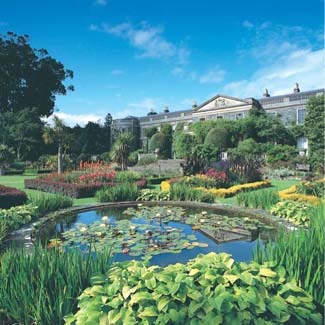 Mount Stewart is an 18th-century house and garden owned by the National Trust. Situated on the east shore of Strangford Lough, a few miles outside the town of Newtownards and near Greyabbey. It's one of the best National Trust places in the UK, well worth a visit.The gardens are astounding, a photographers dream. Take a walk around the lake at your own pace and enjoy as much detail as you can. The flowers, the different trees, the birds and swans. This must be one of the best attractions in the province let alone County Down. Like stepping back in time as you visit the different old houses and the old shops, banks, churches, farmhouses, and everything connected with yesteryear. There is even an old multi-seater van at the Ulster Folk and Transport Museum that takes you around the old lanes. You can walk though, and this is much better if it is a clear sunny day.You will be glad you went and there are a couple of cafes where you can rest your feet. There is a floor dedicated to every mode of transport and you are free to take pictures and enjoy the displays. Interested in the Titanic- you can even find a section dedicated to the Titanic! When you go to the Ulster Folk and Transport Museum notice that there are two areas one for the Folk Museum and one for the transport Museum. This mid-Georgian Castlward mansion is an architectural curiosity of its time. The Victorian laundry, playroom, cornmill and sawmill give the full flavour of how the estate worked. Castle Ward covers 332ha (820 acres) of woodland, farmland and gardens, including guided walks. Castleward is a beautiful house set in a large estate and is a wonderful place to have a leisurely walk and picnic especially by the lake! The Tollymore Forest Park is a 500-hectare park almost 2 miles north-east of Newcastle. 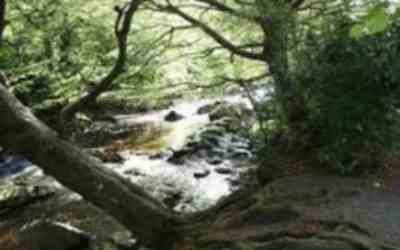 It has lengthy walks along the Shimna River and the northern Mournes. The visitor centre is in a 19th century church-like barn that has information on the flora, fauna and history of the park. Guided walks are available. Part of the Tollymore Forest park but with a separate entrance is the Tollymore Mountain Centre with courses on hill walking, rock climbing and canoeing. The scenery from the car park is absolutely breathtaking, especially if you go on a sunny day. There are plenty of options for a walk and we would particularly recommend the "River Walk" which takes in the paths either side of the river as well as a route deeper in to the forest. Everywhere you look there is beautiful scenery. You can't help but enjoy being at Tollymore Forest Park ! This is where in the words of the famous song by Percy French, "The mountains of Mourne sweep down to the sea", and the granite Mourne Mountains continue to be renowned for their beauty. The county has a beautiful coastline along Belfast Lough to the north and Carlingford Lough to the south. 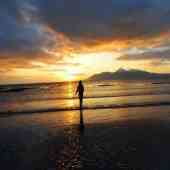 The coastal drive south along the A2 around the sweeping Mournes is the most memorable journey in Down. Annalong, Kilkeel, Rostrevor and Warrenpoint offer convenient stopping points, from which you can detour into the mountains. If you take the Head Road, following the signs for the Silent Valley half a mile north of Annalong, you go through the beautiful stone-wall countryside, past the Silent Valley and back to Kilkeel. Down Gaa was the first of the six counties in Northern Ireland, and the second in Ulster after Cavan to win the All-Ireland football championship, in 1961. The feat was not matched by another team until the 1993 victory of Derry. Down Gaa share with Cavan the Ulster record for most All-Ireland victories at 5. As such, Down Gaa is regarded historically as a strong footballing county, and football is widely regarded as the dominant Gaelic sport within the county. Popular resort Newcastle County Down Ireland, where Slieve Donard really does 'sweep down to the sea' offers family fun, plus the bonus of mountains and championship golf (Royal County Down) on your doorstep. Newcastle County Down is famous for its sandy beaches Royal County Down Golf Club (host of the 2007 Walker Cup). Restaurants, charming pubs and exquisite shops, boutiques and galleries, there is something for everyone in Newcastle County Down. For the more adventurous, there are breathtaking hikes in the Mournes, numerous bike trails, superb fishing, tennis courts, swimming and amazing golf courses. Explore the nearby historic Dundrum Castle, and Tollymore Forest Park or take a short drive to Downpatrick, the burial place of St Patrick. Opened in 1889, Royal County Down Golf Club in northern Ireland is one of the oldest and well known golf clubs in Ireland. Royal County Down is an exclusive club, whose membership is invitation only and boasts one of the most challenging links courses in the world. The Championship Links course is lauded as much for its beautiful scenery as it is for its challenging round. Golf Digest has said outside of the United States Royal County Down is the best golf course in the world. Bangor County Down Ireland is a beautiful maritime resort. Located on the shores of Belfast, Bangor County Down has been attracting visitors due to its privileged location. The reasons– fresh air and fun! Bangor holds events throughout the year to entertain the whole family. There are countless leisure activities, water-sports, picturesque parks, enchanting woodlands, sandy beaches and walks in Bangor County Down Ireland. Saint Patrick Day has come to be associated with everything Irish: anything green and gold, shamrocks and luck. One accounts says that Patrick died at Saul, Downpatrick, Ireland, on March 17 hence the reason why it is celebrated on March 17th. Since the holiday began in Ireland, it is believed that as the Irish spread out around the world, they took with them their history and celebrations. The biggest observance of all is, of course, here in Ireland. With the exception of restaurants and pubs, almost all businesses close on March 17th. Being a religious holiday as well, many attend mass on Saint Patrick Day where March 17th is the traditional day for offering prayers for missionaries worldwide before the serious celebrating begins. In American cities with a large Irish population, St. Patrick's Day is a very big deal. Big cities and small towns alike celebrate with parades, "wearing of the green," music and songs, Irish food and drink. The Saint Patrick Centre in Downpatrick is the only permanent exhibition in the World dedicated to Ireland's Patron Saint and one of the top tourist destinations in Ireland.